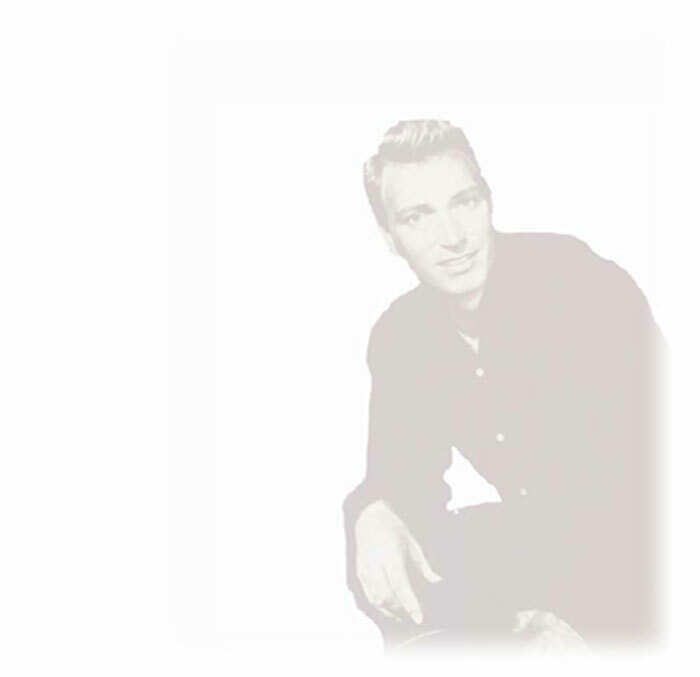 Is Frank Ifield just a stage name? 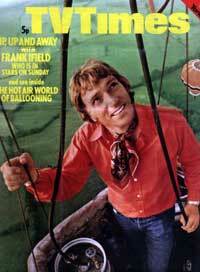 No, I was Christened 'Francis Edward Ifield' but I shortened it to Frank Ifield as I didn't like the name Francis. Dad chose the name as he had a dream that I would be famous one day and he thought it went well a knighthood - however, I'm still waiting for that honour (laughs). Was I born on the 30th October or 30th November? I was born on 30th November 1937. The confusion came about when the BBC mistakenly gave out my birthdate as being October, and it must have been put onto the computer. At one time, here in Australia, a DJ at 2GB named Ron Casey gave me a birthday call each day from the 30th Oct to 30th Nov.
Am I an Australian or English? I was born in Coventry England by Australian parents. Dad was born in Campsie in Sydney and Mum in Mosman, North Sydney. My father's history goes back many generations in Australia, while Mum's parents were born in Preston Lancashire. Her Grandfather emigrated to live in Camden, Australia in the late 19th Century and the family followed on. Consequently, having allegiance to both Countries, I simply regard myself as an English born Australian. 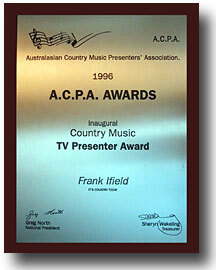 I have been involved with so many facets of show business since returning to live back in Australia: I was a columnist for a monthly Australian Show-business magazine called Variety Today, and at the same time was involved as a TV scout for Australian talent and a correspondent on British Show business for Ray Martin's Midday Show on the Channel 9 network. In 1997, I returned to the recording studios to complete an album called The Fire Still Burns which was subsequently released on Odyssey in Europe and on ABC Country in Australasia. I was the instigator of what has become Sydney's Premier Country Music Festival where over the past six years I have been its Patron. This annual event is held in association with the Galston Rotary Club on the second Sunday of September in the beautiful rural setting of 'Fagan Park' Galston, nestling in the Hills District to the north of Sydney, and the region where I now reside. Four years ago at the behest of the organisers of the festival, I was asked to present my own award in order to promote young talent called The Frank Ifield Spur Award. It gave me great pleasure to be asked to assist young talent to realise their full potential. This has developed into my new successful role as promoter for these artists who are now enjoying air-play both here and on the International markets. Now, demands on my time have made any thoughts of retiring and simply sitting back in my rocking chair watching the world go by, just a dream at the end of an exhausting day. The dream may seem tempting, but the reality is that I enjoy the pace of life to the full and wouldn't change it for the world! 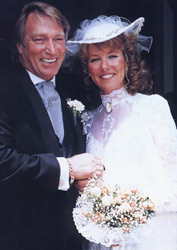 Yes, I have married again and Carole is proof that love is better the second time around. She is the most loving and supportive wife a man could wish for. She makes me feel like a teenager - Sharing our life together makes me feel I can conquer anything that comes our way. Apart from the love of one another, we have much in common. We both love music with a passion and she knows about the trials and tribulations of show business first hand, having been a very talented singer herself for many years -so she is naturally a great help to me with her own creative input. What are your hobbies and interests out side of show business? 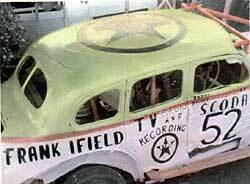 In Australia, at the age of 17, I was fascinated by the 'Bash & Crash Game' of Stock Cars. Spurred on by my friend Col Dennis, a trucker from Wollongong, I found myself behind the wheel of his well-tuned fortified mean machine. It was an 8 cylinder Cadillac and built like a fortress (Later, I was 'relegated' to a Scoda, as pictured). The roar of the crowd and the smell of racing fuel filled me with an excitement that followed me to England. However, after I had reached fame as a singing star, this hobby was curtailed because of the impossibility of getting insurance. Nevertheless, I pursued another bizarre hobby of Hot Air Ballooning from Dunstable Downs. This hobby met its inevitable conclusion when I was dragged along a ploughed field and sustained a leg injury. This would have been OK except that I was starring in Pantomime at the time in the role of 'Sinbad The Sailor' and the manager was not amused at my limping on stage like 'Long John Silver'. These days I indulge in less perilous pursuits: Stock cars have given way to the dangers of driving the streets of Sydney, and Balloon flights have been replaced by the comfort of an airline seat. 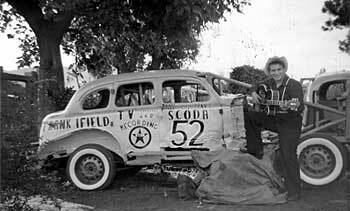 Below: Frank with his Scoda stock car. 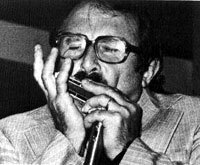 Who played the mouth harp (Harmonica) on my hit I Remember You? It was Harry Pitch. A lot of people think it was John Lennon as the Beatles did the song as a tribute to me on their stage recording from Hamburg. Others attribute it to Arthur Tolcher who played behind me at the Birmingham Pantomime production of 'Mother Goose'. Harry also played the themes to the popular British TV shows Last of the Summer Wine and Anne of Green Gables. As 'Mr. Bloe' he made number 2 on the pop charts in 1970 with the single Groovin' with Mr. Bloe. 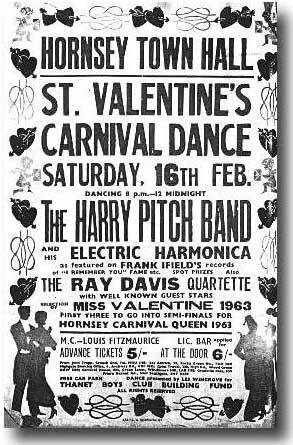 Left: A concert poster from 1963 with Harry headlining, and a pre-Kinks Ray Davies (minus the e) as support act!